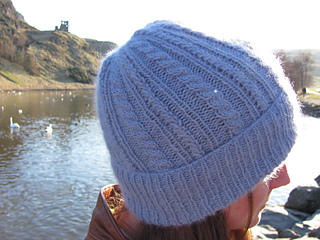 Orkney Angora St Magnus D.K. 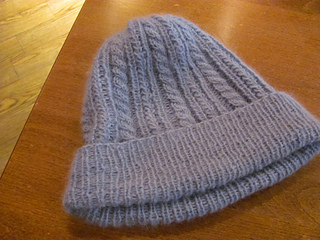 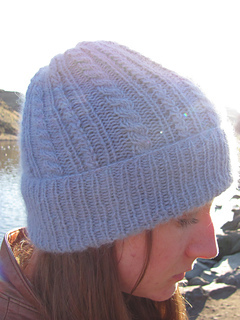 This warm and fuzzy cap is a quick project. 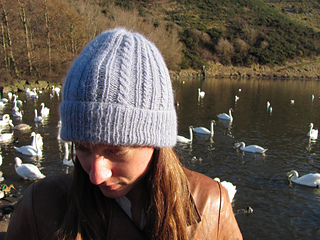 Knitted with an angora blend, the fuzz effect is just enough to give off a glow, without hiding the charming cable pattern.